Catching a Defining Moment. . . I watched this Osprey hunting for food, and this was his second dive. Exposure: 100 ISO, F5.6, 1/250. Photography is the art medium that “catches” a moment in time, through the use of a camera and the photographer’s creativity/knowledge. Correct exposure means going beyond the Auto functions of the camera, and controlling the exposure through manual, aperture priority or shutter priority. It also includes use white balance, ISO, bracketing (depending on subject), flash and other functions. 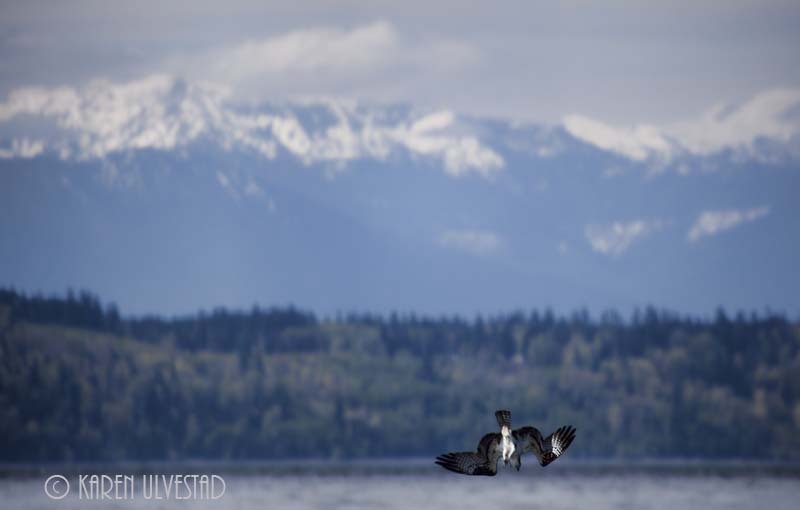 Pre-setting exposure is a great way to prepare for shooting subjects like birds. 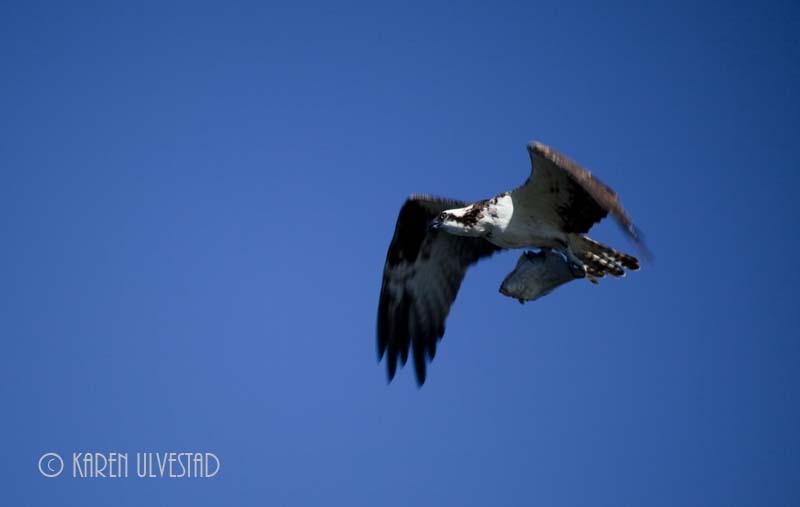 This blog is focused on Osprey, and they are a fast-moving bird. I always pre-set my exposure before shooting birds. This pre-setting phase includes selecting an auto-focus point, as a starting point. This is one of a series of images from the Osprey in the water to flying past me with his fish. Exposure: ISO 100, F5.6, 1/250. Planning or visualizing the image is essential for bird/wildlife photographs. This simply means know your subject, study it and anticipate the next series of events. It’s good to go out on a shoot knowing what subject you are planning to photograph. For locations I know, I usually have a broad subject such as birds. For unknown locations, I do some research before going on the shoot. This allows me to know what type of landscape I will be shooting in, and what kinds of subjects are usually at the location. The second part of planning is deciding what equipment will be necessary for the subject. For birds, I always use my 100-400mm IS lens. I take my tri-pod for shooting video. In addition, I carry extra memory cards, an extra battery and lens cleaning cloth. Usually, my flash is included in my bag too. For the complete Osprey hunting sequence, visit my video at http://youtu.be/S9LFynPyNew. 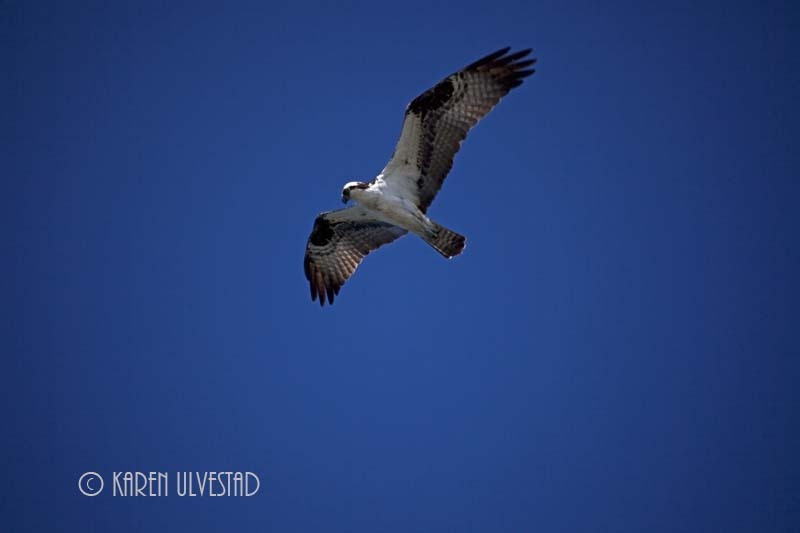 Often, I see Osprey flying and hunting at a beach I frequent. This day, the Osprey was flying over-head. Exposure: ISO 100, F5.6, 1/500. Uhm.. I find it very difficult to shoot birds in sky such as Osprey, Kites, and Eagles my cam cannot focus the subject in “Autofocus”. How do you manage that? I too fix all my parameters before taking pictures just like you’ve said, though I generally go with 1/1000 or 1/800 for fast moving action birds.